This six-transistor low-noise distortion MC phono step-up uses a new circuit topology with three feedback loops. Input signal is fed to the emitter of transistors Q1 and Q4 and is amplified by transistors Q2 and Q5. Transistors Q3 and Q6 work as an output buffer. The collector voltage of O1 and Q2 acts as the operating current of Q2 and Q5, and the resistors R4-7 set the operating voltage of transistors Q3 and Q6. With an excellent drive capability and stability into capacitive loads, the amplifier is sym metrical and is DC-coupled from input to output. Input impedance is 120 ohm output impedance is 200 ohm. The band width of the amplifier without L and C1 is 0-6MHz. The output offset voltage is typically less than 10mV. 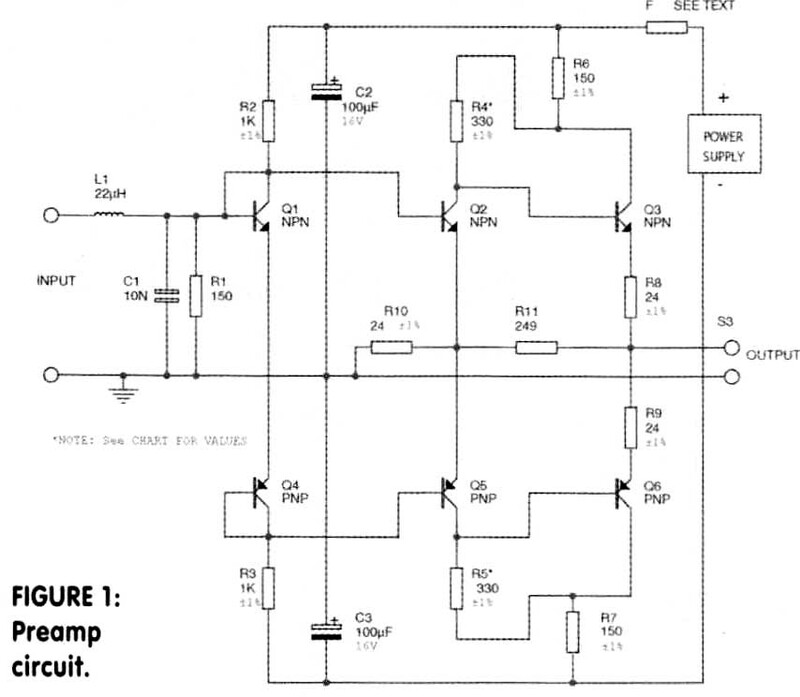 If the offset voltage is a problem, place a coupling capacitor between the MC step-up and the RIAA amplifier. The gain is set by the resistors R4 and R5 (Table 1). The inductance L and the capacitor C1 act as a filter to suppress radio frequency interference. You can power the amplifier from a 12V lead-acid battery or a low-noise 12-18V power supply. Power consumption is 27mA with a 12V supply (325mW), 33mA with a 15V supply (500mW), and 40mA with an 18V supply (720mW). Shield the amplifier in a metal box for shielding, and place transistors Q1 and Q2 together so they have the same temperature. 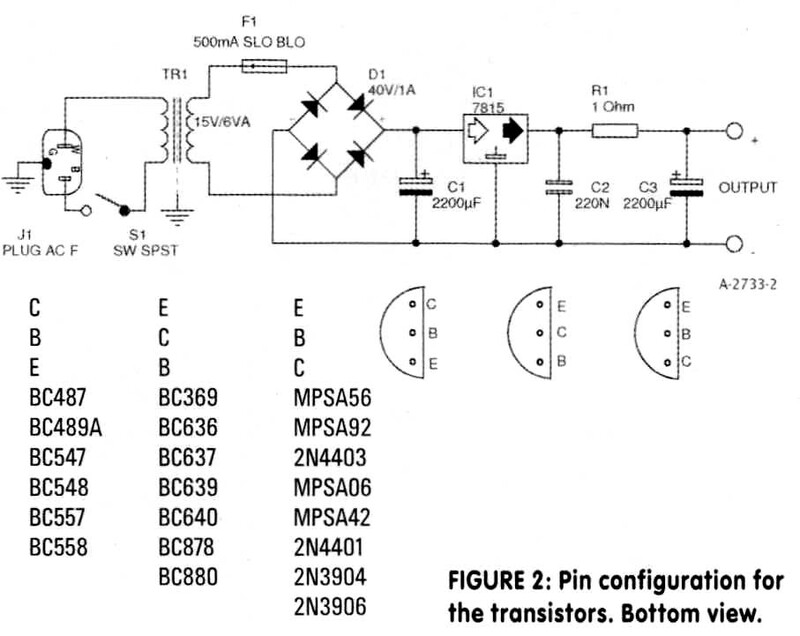 Also place transistors Q4 and Q5 close to each other. Eventually, glue the transistors to each other.